The Genie Trade Show Counter Case is made of rugged hard plastic designed to protect your display during shipping and storage. 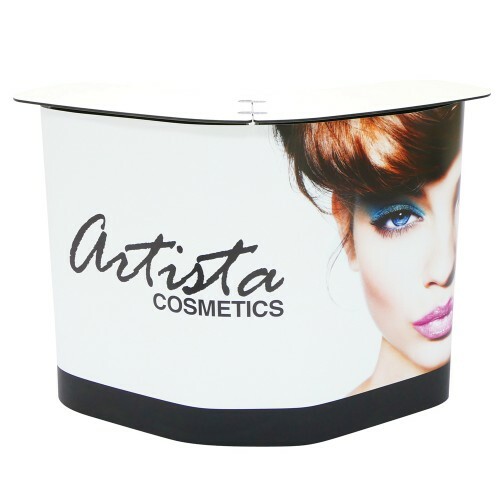 Custom printed graphics on PVC or Laminate to transform the shipping case into a portable counter at your next trade show or event! Inside shelving and sturdy counter top make for convenient space. Tradeshow Fabric Pop Up Display 30ft wide x 89"h Straight, Fast TurnsOur new Ready Pop Lite di..